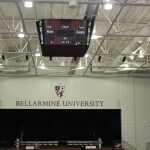 Bellarmine University is a vibrant community of educational excellence and ethical awareness that consistently ranks among the nation’s best colleges and universities. 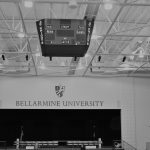 On the edge of downtown Louisville Bellarmine is set on three beautiful hills in the artful and eclectic Highlands neighborhood. 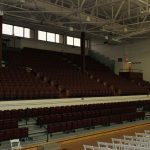 Downtown Louisville is just minutes away and offers world-class theatre, arts, sports, museums and gorgeous riverfront parks. 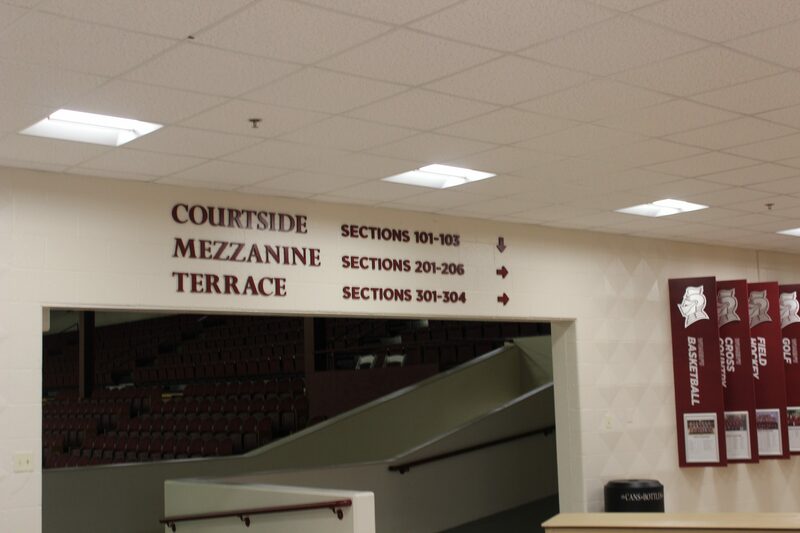 Louisville is situated on the mile-wide Ohio River, at the gateway to the South and the crossroads of the Midwest. Two hundred million people – two-thirds of the nation’s population – live within a 500-mile radius of the city. 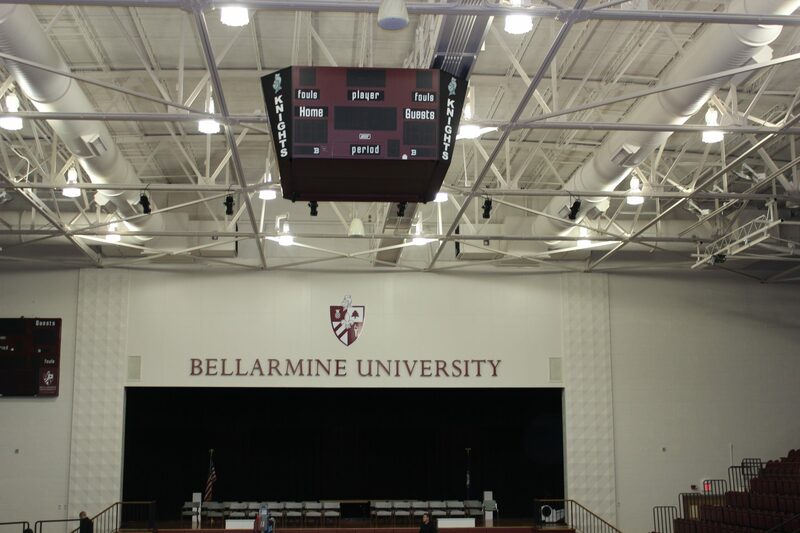 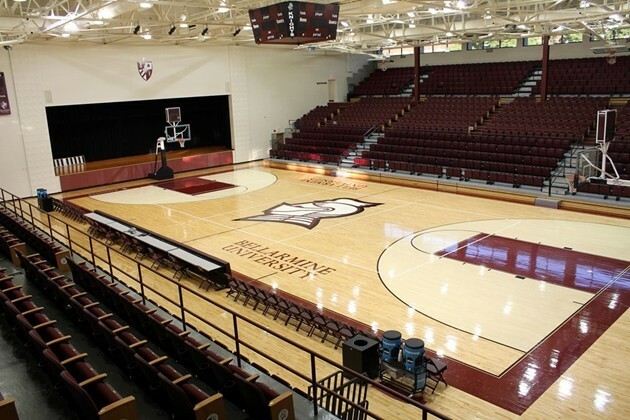 Calhoun Construction Services served as the General Contractor for the renovation of the home of the Bellarmine University Knights. 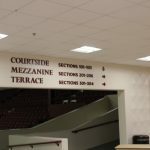 The Knights Hall project was a complete overhaul of the building’s interior lighting, lobby, ceiling, exterior paint and the heating and cooling systems. 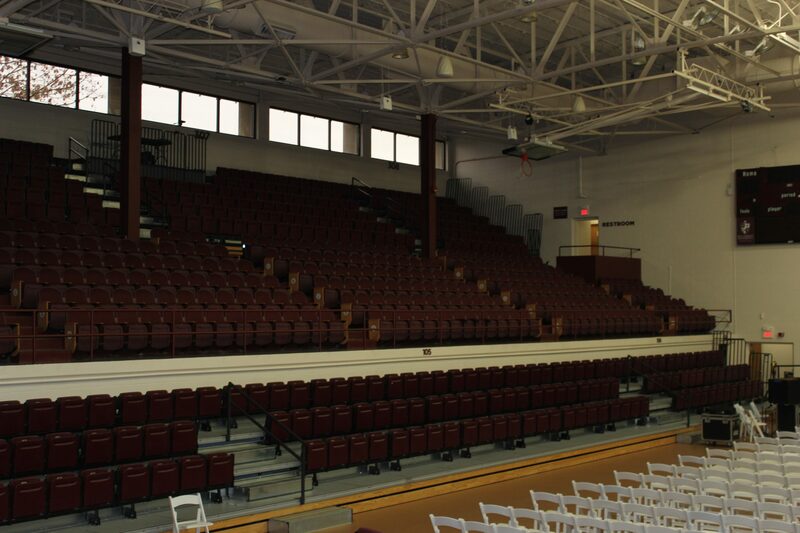 Knights Hall is a 2,196 seat facility. 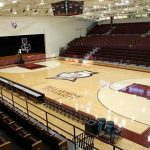 This renovation presented a challenge as the new gym floor had been installed as the first phase of the project and needed to be protected from damage.